Understand why marketing strategy planning involves a process of narrowing down from broad opportunities to a speciﬁc target market and marketing mix. Know about the different kinds of marketing opportunities. Know about deﬁning generic markets and product-markets. Know what market segmen-tation is and how to segment product-markets into submarkets. Know three approaches to market-oriented strategy planning. Know dimensions that may be useful for segmenting markets. Know what positioning is— and why it is useful. 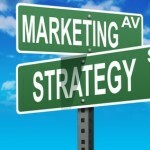 an important focus the marketing strategy if you want your business successful.